Asian Fashion Blog: 2014 Indian and Pakistani bridal shopping guides for British Asian brides! 2014 Indian and Pakistani bridal shopping guides for British Asian brides! It's been nearly 7 years since I embarked upon the task of picking my wedding outfit...so you could say I'm a little out of touch when it comes to all the finer details. Thankfully though, two of my favourite bloggers are sharing their experience of wedding shopping in 2014, here's links to their guides and a bit about why I think you'll find them useful! Nina, author of The Asian Fashion Journal got married recently and she's shared her guide to shopping in Mumbai. Although she ordered her main bridal dress from Aashni + Co in London, her visit to India included buying outfits for all her other wedding functions, and outfits for her mum and sister too. It's well worth a read! Check out Nina's guide here. Curly Fries announced her engagement recently and she has recommended 5 online sellers for Pakistani style bridals on a budget. There are hundreds (if not thousands) of sellers on the web, especially on Facebook, and it can be hard to decide who you can trust. CF has used some of these sellers before so her guide is a good place to start! Check out CF's guide here. Both of these bloggers have promised to share more of their bridal shopping experiences so it's definitely worth bookmarking their pages and checking in on them again! I know I can't wait to see more. Aww thank you so much for the shout out! I'm writing up another post as we speak, hope it's useful!! Thanks for the information about various stores. We have been to Mumbai many times but always struggled to find nice clothes. I am positive that your guide will make our shopping so much easier the next time we go to Mumbai. Also, are you aware of where I could get Indian/Pakistani bridal outfits in Dubai? I am going there in a few days and I hardly have one name in mind. I enjoyed reading this blog, thank you for sharing! 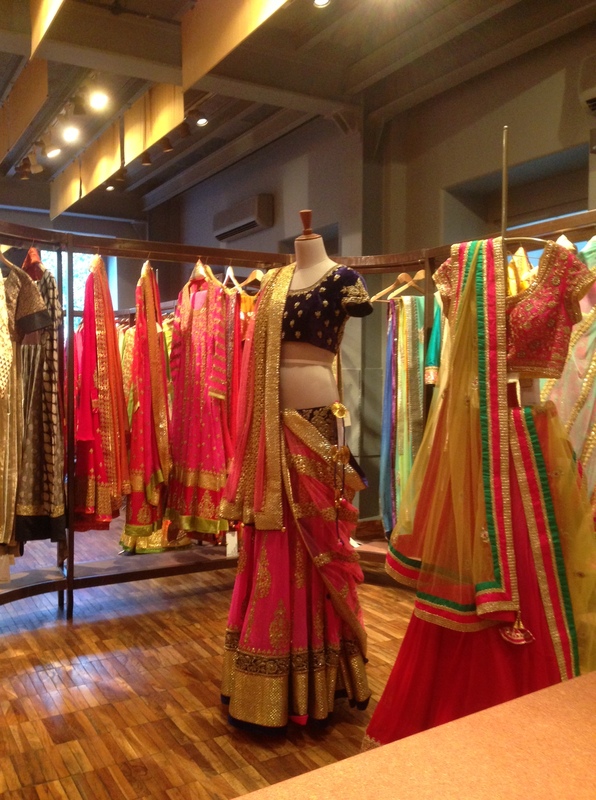 A great insight into Indian bridal shopping.